The 2013 season here in New Mexico was a excited and very successful for our clients. We saw a lot of New Mexico's finest Trophy Bull Elk taken, our continued success of Mountain Lion Hunts - a feat of 100% in putting our clients on big cats here in New Mexico! Meanwhile some very successful Merriam Turkey hunting was had, mix in a few Prairie Dog hunts, overall it was great way to start the spring of 2014. We were working hard at having a lodge ready for our clients this fall, being close to done, we unfortunately had a large set back. The first week of may we had a rough one in that we lost the new lodge to a fire. We are working hard at removing the debris and re-building. We should be all ready to go this fall, but I guess it gives us something to do this summer right? Look forward to more hunting and updates from the lodge. 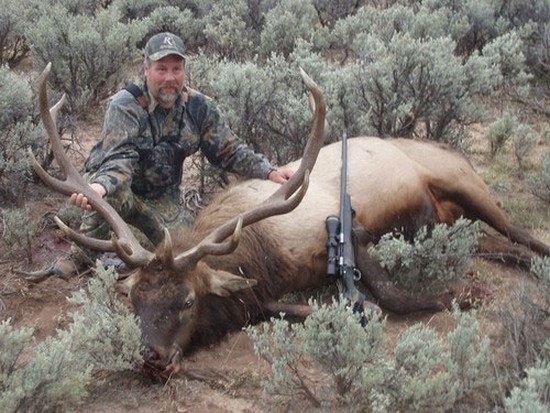 If you are looking for a great hunt or have someone in mind for a great hunt, check out our New Mexico hunting discount page to save some money on booking hunts. We are booking fast and hope for more success in the big bulls of New Mexico!